Learning how to drive is easy and painless with New Start Driving School’s premier instructors. Too Busy With Summer Sports Or Extracurricular Activities? This Is The Class For You! Get Your License In 8 Days With Our Special Summer Break Class! Please Check Class Scheduling On Our Full Website For The Appropriate Class Needed, Call And Register Today (575) 449-4909! ONLY ONES IN THE SOUTHWEST THAT TEACH DEFENSIVE DRIVING COURSE AND SAFETY DRIVING COURSE! WE ARE CERTIFIED BY THE STATE OF NEW MEXICO! Welcome to New Start Driving School! New Start Driving School is certified by the state of New Mexico as a premier driving school. 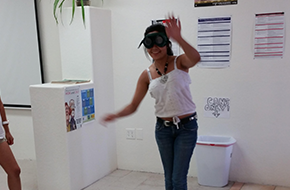 We offer the best quality driving school in Las Cruces, NM. 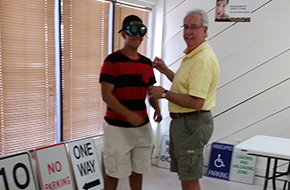 The behind-the-wheel test training that we offer is appropriate for both teenagers and adults. Our mission is to ensure that all of our students learn how to drive safely and responsibly. We want our students to associate driving with a positive learning so experience, which will give them the confidence to succeed on the road! We are a family-based business and we care about the well-being of our drivers. That is why we hire only the best instructors licensed by New Mexico. New Start Driving School’s instructors are experienced and provide the best advice and tips for becoming a good driver. All of our employees are aware when any rule or regulation is changed. Our driving school classes and materials are always up-to-date with current laws. Your student will be more than prepared for both aspects of the driving test by the time they graduate from our program. Written skills are taught and reviewed by our patient and caring teachers. Behind-the-wheel skills are carefully but confidently taught and practiced. After you pass our final examinations, you will be more than prepared for any test the DMV could throw at you! Learning how to drive is crucial, and finding the right instructor can be difficult. But rest assured that learning with New Start Driving School means mastering the rules of the road. We are the cheapest in town—call for pricing!